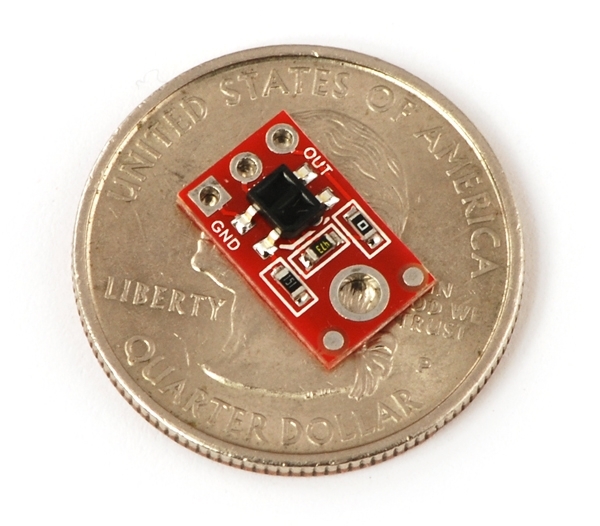 Note: The QTR-1RC reflectance sensor requires a digital I/O line to take readings. 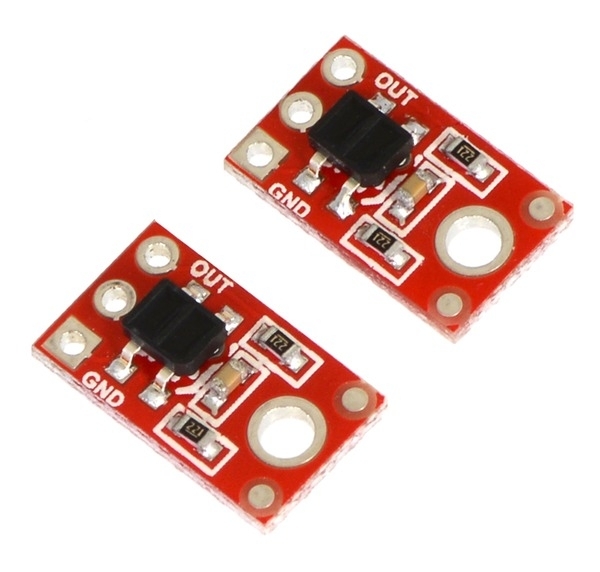 The similar QTR-1A reflectance sensor is available with an analog output. 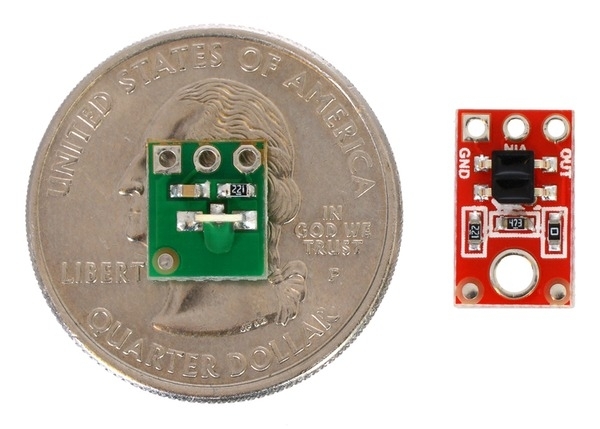 QTR sensor size comparison. 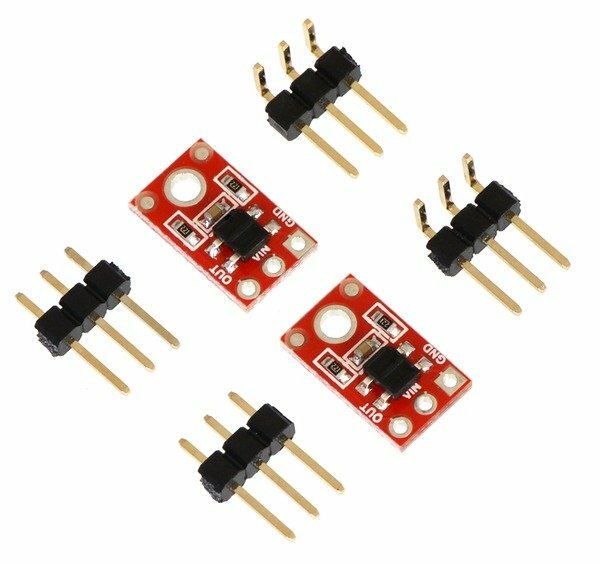 Clockwise from top left: QTR-3RC, QTR-1RC, QTR-L-1RC, QTR-8RC. 1. 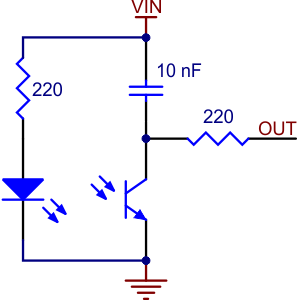 Without optional included header pins. 2. 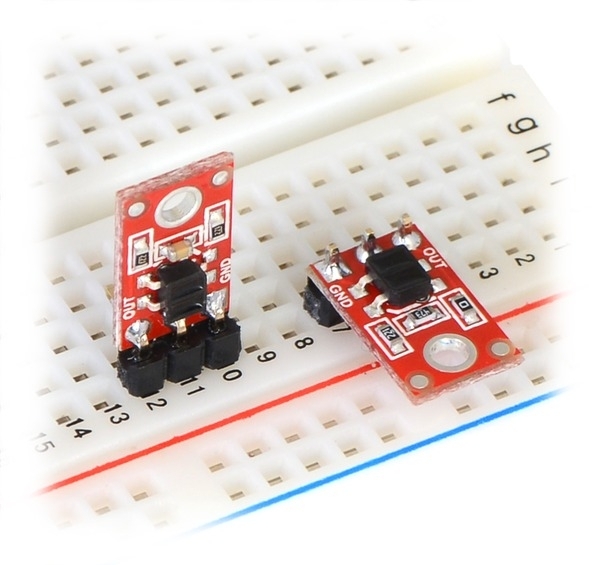 For a single sensor without included optional header pins.